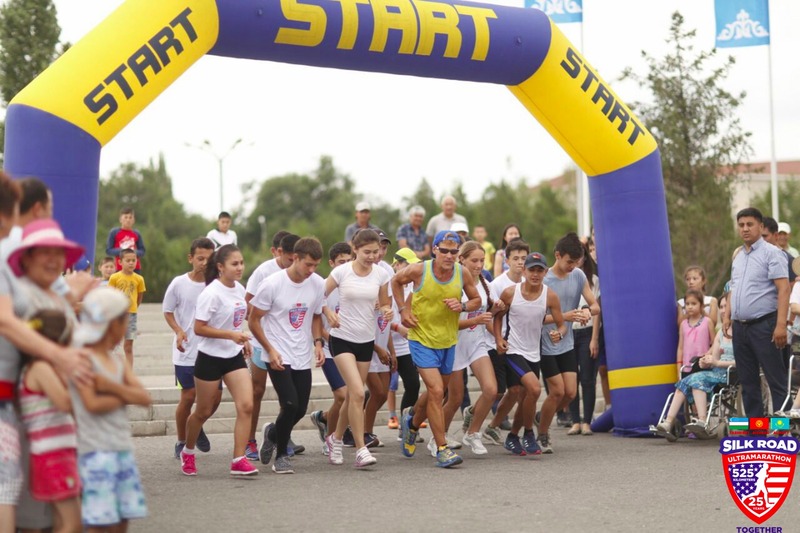 Today marked the end of Dean's first Kazakhstan leg. Dean will cross back into the country on July 9. Dean started today at the Aisha Bibi, an 11th century mausoleum that serves as a monument to love and faithfulness. Local guides regaled him with the story of an ancient noble woman who died shortly before marriage. 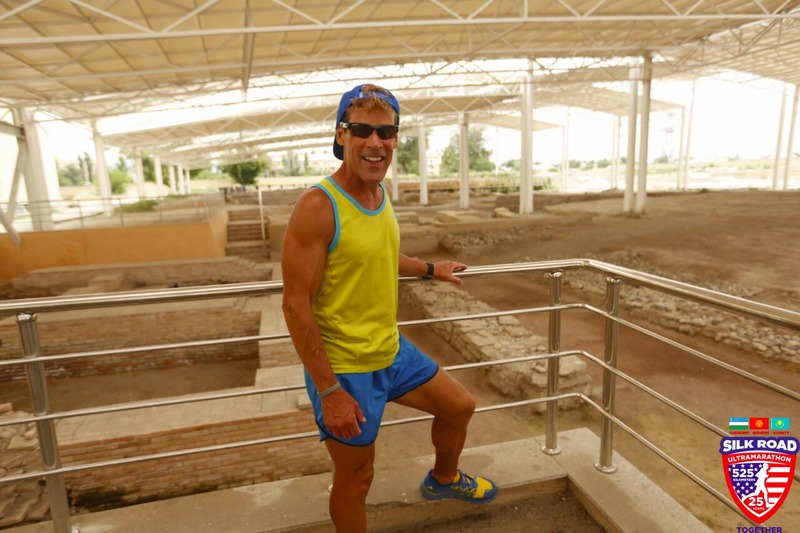 From there, local runners joined Dean as he made his way to the ancient city of Taraz. In Taraz he visited another mausoleum, this one of Aulie-Ata Karahan, built in the 11th century over the grave of one of the rulers of the Karakhanid dynasty. 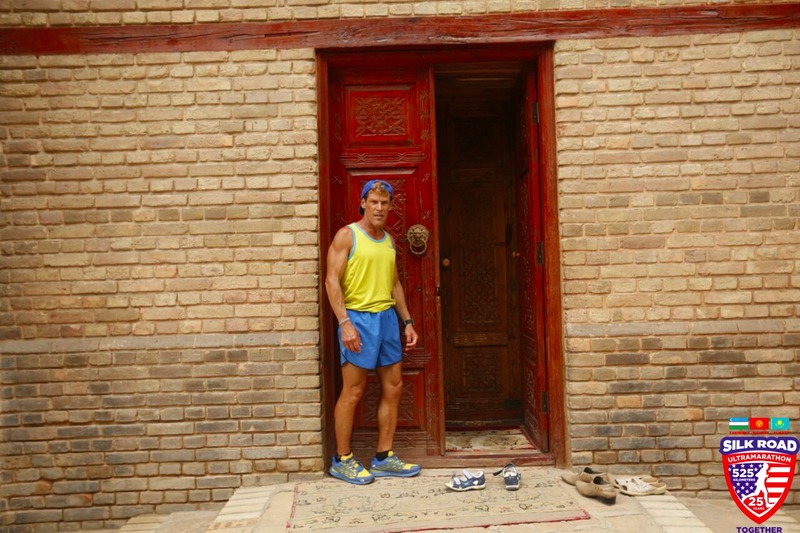 From there Dean finished the day by crossing over the Kazakhstan border into Kyrgyzstan. 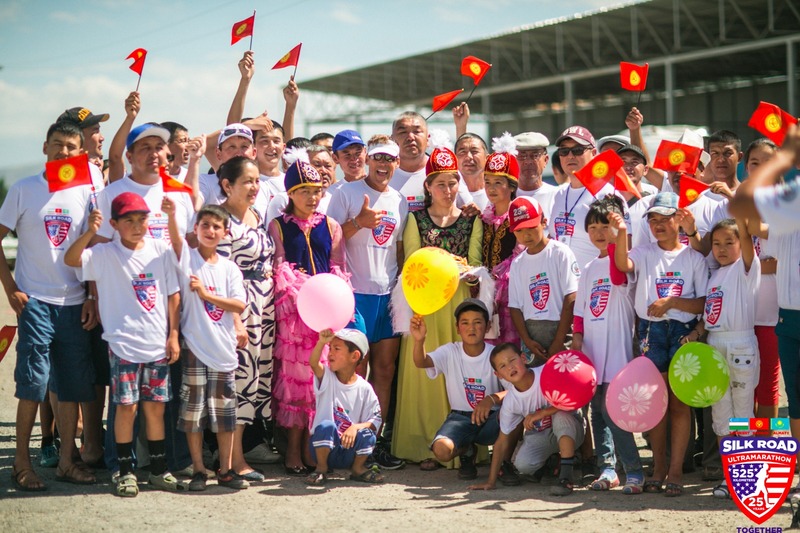 Entering the village of Kyzyl Jyldyz, he ran the final 5k of his trip with soldiers from a local army base. 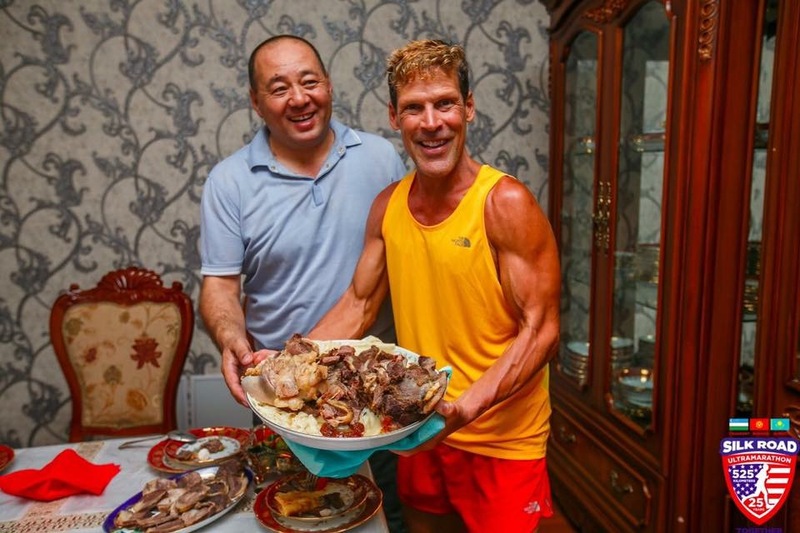 Although the temperatures reached into the high 90's, Dean maintained his stamina and finished yet another day on the Silk Road strong and ready for more.